Curve’s Artistic Director Nikolai Foster, who directed the award-winning Curve productions of Sunset Boulevard and Legally Blonde, will reunite with two-time Olivier Award-winning choreographer Stephen Mear to bring a host of new and familiar faces to Curve’s stage in Leicester for the classic winter musical. Among those returning to the theatre are Danny Mac and Emma Williams. Danny, whose character Bob Wallace delivers the musical‘s titular and much-loved song, played the role of Joe Gillis in Curve’s production of Sunset Boulevard, for which he received the Manchester Theatre Award for Best Actor in a Visiting Production. Four-time Olivier Award-nominated Emma Williams, who recently appeared in Curve’s world-premiere production of An Officer and a Gentleman – the Musical, will play one half of the all singing, all dancing sister duo, Betty Haynes. Joining Emma as Betty’s sister Judy is Monique Young (Singin‘ in the Rain, Grand Palais, Paris and Kiss Me Kate, Kilworth House) while Olivier Award-nominated Dan Burton (Top Hat, Kilworth House and Gypsy, Savoy Theatre) joins Danny Mac as the ex-army turned showbiz double act. Garry Robson (Graeae’s Reason’s to be Cheerful, and Ramp’s on the Moon Our Country’s Good) will play retired US Army General Henry Waverly, with Wendy Mae Brown (Ghost the Musical, UK tour) as his big-hearted housekeeper. Speaking about the announcement, Curve’s Chief Executive Chris Stafford and Artistic Director Nikolai Foster said: “It’s shaping up to be another eccentric year, with much turbulence and uncertainty close to home and across the globe. White Christmas undoubtedly represents the very best festive escapism, guaranteed to banish all blues and nourish the soul with some of the greatest songs and dance sequences ever written. “Berlin’s magnificent score – some of the finest created for the American songbook – are woven around a suitably madcap, exuberant and funny story. Based on the Paramount Pictures film of the same name starring Bing Crosby and Danny Kaye, with music and lyrics by Irving Berlin and book by David Ives and Paul Blake, White Christmas tells the story of Veterans Bob Wallace and Phil Davis and their successful song-and-dance act after World War II. 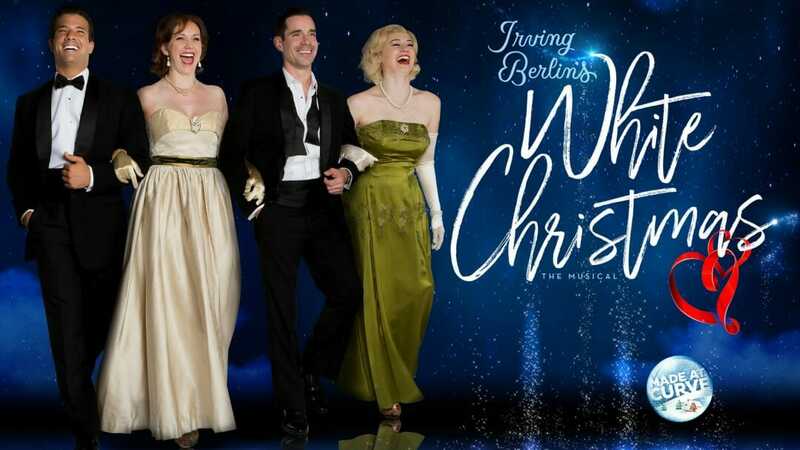 White Christmas is at Curve Leicester 6th December 2018 – 13th January 2019. West Side Story Will Be Made at Curve Christmas 2019 production.